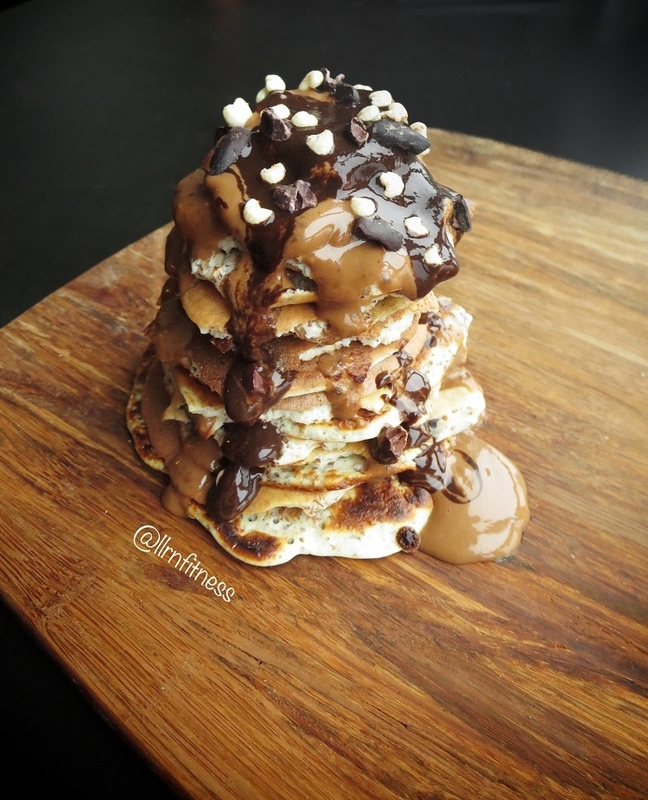 No sugar added cookie-dough inspired protein pancakes - a great way to start your day! Super easy! Mix all ingredients together well, and cook on a lightly greased skillet on medium heat! Top with favourite pancake toppings.